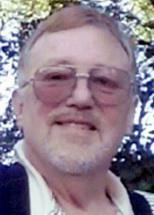 WATERLOO — Charles Edward Anderson, 68, of Waterloo, died Tuesday, Aug. 10, at Cedar Valley Hospice Home of ALS. He was born Nov. 3, 1941, in Cresco, son of Clarence and Georgetta Henry Anderson. He married Delores Lane in December 1961 in Waterloo, and they later divorced. He married Dawn Matejka Feb. 24, 2003, in Waterloo. Mr. Anderson worked at John Deere for 31 years, retiring in 1991. Survived by: his wife; two sons, Charles Lane of Bartow, Fla., and Troy "T.J." (Caryn) Lindholm of Waterloo; two daughters, Tina (Fred) Fout of Lakeland, Fla., and Ashley (Darius Marsh) Lindholm of Waterloo; eight grandchildren; a brother, Jack (Sue) of Missouri; and a sister, Helen (Jim) Knavel of Texas. Memorial services: 10 a.m. Saturday at Kearns, Huisman-Schumacher Chapel on Kimball, preceded by an hour of visitation.